As the combination of PRIME IV and the RICOH developed Accelerator Unit drastically reduces noise, allowing for high sensitivity up to ISO 819,200. By exceeding the upper limit of sensitivity, the range of practical sensitivity will be widened with beautiful images with the wider selection of shutter speed and aperture combination. This can be easily done using the TAv mode. The ISO for video has also been increased to ISO 25,600. The Full-Frame size CMOS sensor (35.9mm x 24.0mm) supported by approx. 36.4 Megapixels delivers high resolution while suppressing noise levels. The larger sized CMOS sensor which is 1.5x larger than that of APS-C also produces a shallower depth of field. With the increase in resolution and the larger size of the Full-Frame sensor, users can enjoy very high resolution images with a wide range of bokeh expression. The larger Full-Frame sensor also increases the individual pixel pitch ( individual pixel size) from 3.91µ with APS-C sized sensors to 4.88µ. This increase allows the sensor to collect more light, resulting in improved S/N ratio (signal to noise ratio) resulting in improved noise performance. The K-1 Mark II’s sensor is also AA (anti-aliasing) filter-less to fully utilize the image quality of the sensor. The PRIME IV with 14-bit imaging processing engine coupled with our original Accelerator Unit, (a RICOH developed processing device) effectively suppresses noise and reproduces fine-details with rich colors even at high ISO levels. The Accelerator Unit was first introduced in the PENTAX K-70, followed by the KP and is now being introduced in the K-1 Mark II, marking the 3rd generation. We have been able to achieve the highest results from this newly designed Accelerator Unit based on our increased knowledge and experience. Pentax Pixel Shift Resolution has been very well accepted with the PENTAX K-3 II, K-70, and KP. We have adopted an upgraded version of the Pixel Shift Resolution to PENTAX K-1 Mark II. The system is apart from the conventional Bayer system, which only captures single unit of color data in each pixel. Pixel Shift Resolution captures four images of the same scene by shifting the image sensor by a single pixel, using the SRII mechanism. With this, each pixel captures all colors, resulting in super-high-resolution images, true to life colors with much finer details, while significantly lowering the level of high-sensitivity noise. Motion Correction is also featured in K-1 Mark II. Therefore, when the PRIME IV processor detects moving objects, that section of the image will not be composed and will only use one of the four taken images for that portion. The Pixel Shift Resolution of the PENTAX K-1 Mark II, has been upgraded to Pixel Shift Resolution II as we have added a new Dynamic Pixel Shift Resolution. Since we introduce Pixel Shift Resolution, we have received many request to use without the use of a tripod. With the K-1 Mark II, we are able to achieve this request by featuring Dynamic Pixel Shift Resolution. To select Dynamic Pixel Shift Resolution, select -> Pixel Shift Resolution -> Image Stabilization On, which appears as one of the modes in the Pixel Shift Resolution menu. This technology is a revolutionary technology which comes from reverse thinking to utilize the minute camera shake itself to produce the composite images. Therefore, by detecting the camera shake in three dimensions, the continuously captured four images are analyzed based on the detected camera shake information and produce one super high resolution image. During the Dynamic Pixel Shift Resolution, as the image is not captured using sensor movement like traditional Pixel Shift Resolution, the SR II system can be used to correct for camera shake. By coupling both features, Dynamic Pixel Shift Resolution can be effectively used during low light situations even without tripod. From the technology point of view, when you are using tripod, the Pixel Shift Resolution II images will produce higher resolution. The PENTAX K-1 Mark II, the new flagship of the acclaimed PENTAX K-series lineup, delivers outstanding image quality and improved operability in a broad range of shooting conditions. It features a full-frame Anti-aliasing (AA)-filterless CMOS sensor with 36.4 effective megapixel resolution. An new accelerator unit that-along with the camera's PRIME IV image processor-enables it to produce high-resolution images with minimal noise in even in the most challenging low-light conditions, up to ISO 819200. The K-1 Mark II incorporates Pixel Shift Resolution System II. 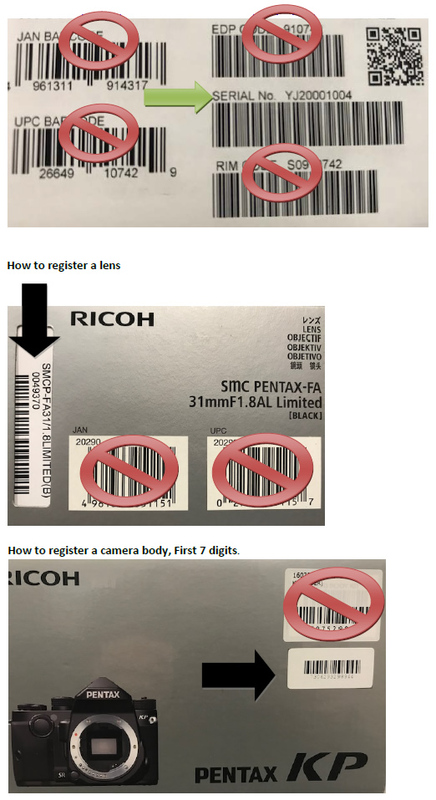 This new, PENTAX-developed technology uses the same in-camera shake-reduction (SR) mechanism and sensor-shift capabilities as the original Pixel Shift Resolution System, capturing four images of the same scene, and then synthesizes them into a single, super-high-resolution composite image. With the Pixel Shift Resolution System II, the camera also obtains RGB color data, resulting in images with significantly finer details and truer colors than those produced by typical full-frame sensors. In addition, the new Dynamic Pixel Shift Resolution mode allows photographers to produce crisp, ultra-high pixel shift resolution images without the need of a tripod. The PENTAX K-1 Mark II also comes equipped with many unique features and functions designed to facilitate creativity and ensure operational comfort, including a sturdy magnesium-alloy body with dustproof, weather-resistant construction; an optical viewfinder with a nearly 100-percent field of view for real-time subject confirmation; Astro Tracer, which simplifies the tracing and photographing of celestial bodies; and a flexible tilt-type LCD monitor to accommodate various shooting angles. By exceeding the upper limit of sensitivity, the range of practical sensitivity will be widened with beautiful images with the wider selection of shutter speed and aperture combination. This can be easily done using the TAv mode. The ISO for video has also been increased to ISO 25,600. During the Dynamic Pixel Shift Resolution, as the image is not captured using sensor movement like traditional Pixel Shift Resolution, the SR II system can be used to correct for camera shake. By coupling both features, Dynamic Pixel Shift Resolution can be effectively used during low light situations even without a tripod. From the technology point of view, when you are using a tripod, the Pixel Shift Resolution II images will produce higher resolution. Just like the PENTAX K-1 the K-1 Mark II is equipped with a 5-Axis, SR II system. To achieve this technology an acceleration sensor is used. The 5-axis SR II covers the shake of yaw, pitch, roll, vertical, and horizontal. Additionally, the shake reduction performance system offers 5 shutter steps compensation. With the SR II mechanism, camera shake can be prevented even with high-resolution images. As always, as the SR II is built-in, SR II is effective with every K-mount lenses. Shift (vertical and horizontal) camera shake reduction is effective with macro shooting while Roll reduction is effective with extra-wide lenses as the edge of the image will not flow. Thanks to the built-in SR system, by using the microscopic vibration of the image sensor unit during image exposure, generates the same level of moiré-reduction effect as optical AA (anti-aliasing) filter. Unlike fixed optical AA filters which always creates the identical result, this innovative simulator allows the user to adjust the level of the moiré-reduction effect from OFF, Type1, and Type2. Bracketing of all those settings is also possible. Depending on your subject, you can choose high-resolution shooting or AA filtered shooting. 87 different places including buttons, dials, and covers are carefully sealed for durable usage under hard conditions. Battery Grip is also carefully sealed with 47places. On the front of CMOS sensor glass parts, piezoelectric element is adopted. With a very fast ultrasonic vibration highly adherent dust is strongly removed by preventing dust to be captured in the image. The ultrasonic vibration mechanism is based on the SR function. By covering the metal framework with magnesium alloy, lightweight, highly tough, highly durable and electromagnetic shielded is possible. With the composite construction with metal chassis, which is maintaining the main function, giving a high durability and reliability with punishing circumstances. The 3.2-inch flexible tilt type LCD monitor’s movement was specially designed without deviating from the lens’s optical axis. With vari-angle LCD, when you take a photo using live view, the composition adjustment was stressful with an uncomfortable feeling as the adjustment is not smooth. This happens as the center of the monitor is misaligned from lens’s optical axis. Uncomfortableness is significant especially with macro shooting. With this unique LCD, we cleared the uncomfortableness for further stress-free composition. The monitor will move approx. 44°up and down and approx. 35°left and right. When you use it with west level, it can be moved approx. 90 °upward. The LCD’s angle can be changed instantly with a stress-free single action. K-1 Mark II features a built-in GPS function. With K-1 Mark II itself, shooting location, facing direction, and the shooting date and time (Coordinated Universal Time) can be recorded in image data. As the GPS button is placed near the pentaprism, it can be easily activated. GPS log function is also adopted which lets you load the log into PC. K-1 Mark II also features the digital compass for easy direction checking. As usual, environment test has been carried under minus 10 degrees. The electronic circuit and mechanical mechanism operation and responsiveness work perfectly well under this circumstances. Coupled with in-body SR (Shake Reduction) mechanism and GPS, this function easily tracks and photographs astronomical body such as stars. The latitude obtained by the GPS function and camera position (horizontal/vertical tilt and facing direction) detected by the magnetic and acceleration sensors are used to calculate the movement of astronomical body. The CMOS sensor is synchronized with the movement of astronomical body, making it possible to capture stars as points of light not as trails of light even during long exposures. The K-1 Mark II's optical viewfinder provides a nearly 100-percent field of view and an approximately 0.7-times magnification. A Natural Bright Matte III focusing screen allows ease of focusing and a true-to-life rendition of defocused areas in the viewfinder image. Operation assist light function provides LED lights above the lens mount, behind the LCD monitor, at the memory card slot, and at the cable switch terminal to help facilitate fast and easy operation in poorly lit settings. The key lock function prevents erroneous operation of the four-way controller and other exposure-related control buttons. The Smart Function allows users to swiftly choose and set desired functions using just the function dial and the set dial on the camera's upper panel, without referring to the menu screen on the LCD monitor. Recording time Up to 25 minutes or 4GB ; automatically stops recording if the internal temperature of the camera becomes high. Type Wide viewing angle TFT color LCD, Air-gapless glass. Flexible-tilt.